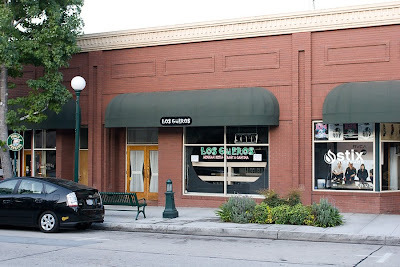 Los Gueros restaurant is moving into the former site of Wang's Palace. 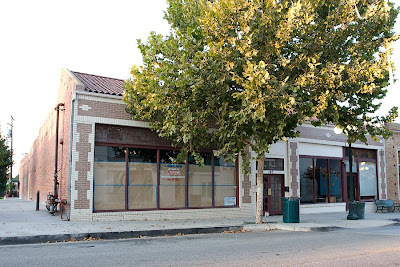 Wang's Palace is moving into the former sites of Prudential California Realty and Scoops Ice Cream. I really have to do a title search to find out who owns some of these buildings along Myrtle. It makes no sense to me that Wang's Palace (after 25 years) gets the boot in favor of Los Guerros. Do you have any idea when Wang's will be opening in their new location? Alessandra: If you figure it out, let me know. My ability to understand appears to be hampered by my business degree. Newbeginning: I don't know. The inside of the new place seems pretty far along but there's no opening date on the front window. Their website is "under construction" so there wasn't much info there either. We get delivery from Wang's about twice a month (hey, I'm pregnant and craving their BBQ spare-ribs! ), and they sent out a notice with their deliveries saying that they'd re-open in their new location sometime in October. So, in theory, they'll be set up soon. My buddy who works at 3M called and said he went to Wangs on Saturday night and they were no longer there. Thanks to Google, both my wife and my pal are relieved that Jeff is only moving. I have been a customer since they opened in 1984. I will be there for opening night! Thank God Wangs is still going to be around. They have the BEST ASIAN Food in the area. We went there Saturday night for our 37 th anniversary, and they were gone. We will be going there when they open. Anon 1: Sounds like they've got some loyal customers! Anon 2: I've been there a few times and always enjoyed it. Does anyone have any idea when Wang's will be opening in their new location?